Kick off the new year right with a home renovation. 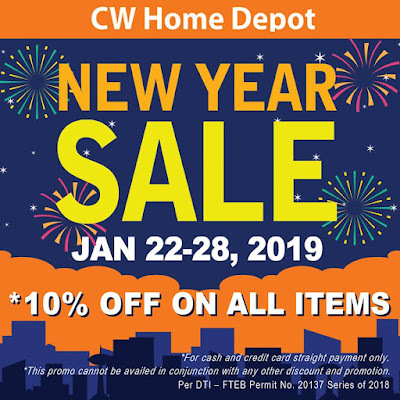 Check out CW Home Depot New Year SALE happening until January 28, 2019. 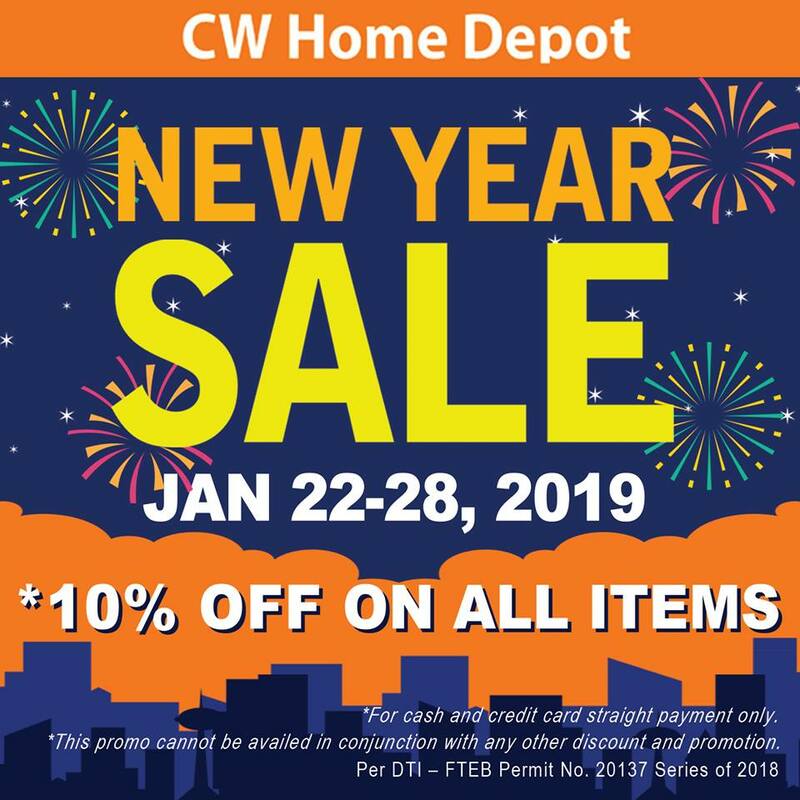 Get 10%* off on ALL items! *for cash and credit card straight payment only.